With spring comes the annual Cleveland International Film Festival, in its 42nd year. A great event, this year’s fest represents 72 countries, brings 216 feature films, 253 short films, 14 virtual reality films, and offers six interactive media projects. Taking place at Tower City, it runs from April 4 through the 15th. On Friday, April 6th at 4 p.m., the movie “Brewmaster” will be screened, followed by a panel discussion. 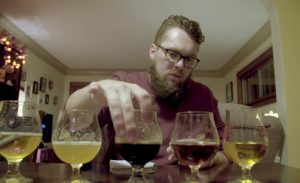 I will be part of this panel, along with Jeremy Langham of Ironborne Brew Works, local brewing legend Pat Conway of Great Lakes Brewing Company, as well as Douglas Tirola, director of the documentary. We’ll discuss building a community around craft beer. 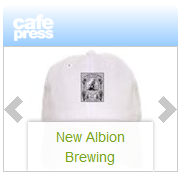 I still plan on brewing New Albion beers with Platform Beer in Cleveland. With their recent expansion of distribution out of state, perhaps you’ll see our beer head South as well. Stay tuned…and cheers to changes! Thoroughly enjoyed Brewmaster and the panel discussion at CIFF42. Will definitely be looking for the Platform release of New Albion. Sorry to hear you are leaving Cleveland. Safe travels ! Cheers, and thank you, Dennis!